It’s been a month since Huawei announced its flagship phone, the Huawei P9 in India. 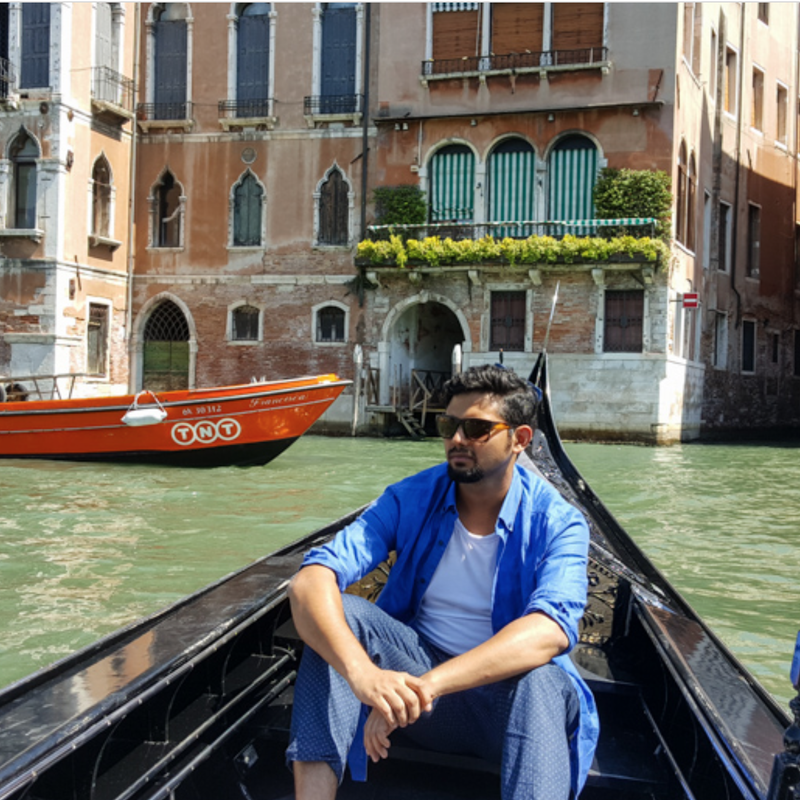 I was one of the lucky few to get my hands on the device even before it’s official launch in the Indian market and had the opportunity of taking it along with me on my trip to Italy. The main USP of the Huawei P9 is the Dual-camera unit developed in collaboration with Leica. The Leica dual-camera module, with a two 12 megapixel lens system with f/2.2, combines the black and white camera with the colour lens, which supposedly offers better contrast, light sensitivity and image quality. Swipe right, and a selection of modes appear, ranging from HDR and video, to time-lapse and night shot settings. Swipe left, and less often used features come up, such as a timer, camera grid settings, and GPS tagging. The manual mode, called Pro, appears when you drag up a small menu on the main screen. When it’s hidden, the phone is in auto mode. It’s easy, convenient, and intuitive to use the manual mode on the P9. The Huawei P9 offers manual shooting controls for people like me who prefer to create photographs just the way we do it with DSLR. Here are some of the pictures I clicked with this phone during my 2 week long trip to Italy. We had been planning this trip since a year now and had already booked the flight tickets 6 months in advance at a good rate. Our stays were booked on AirBnb. My trip was scheduled from the 7th of August, 2016 until the 20th of August, during which I was to cover Milan, Venice, Florence, Rome, Sant’Agnello and Palermo. My wife missed out on the first leg of the trip when she lost her passport just 3 days before the trip! The story was to go viral few days later when our MEA Minister Sushma Swaraj stepped in and offered to help us with the passport and visa within 2 working days! I flew from the Indira Gandhi International Airport, New Delhi to the Malpensa Milan Airport with a stopover at Istanbul, Turkey. The entire flight journey lasted 11 hours. We had booked our AirBnb stay within walking distance of the Milan Centrale Station which helped us a big deal in saving travel time. Our first meal in Italy was a slice Margarita Pizza, French Fries and coke at one of the restaurants in Navigli. The Navigli were a system of navigable and interconnected canals around Milan, Italy. The system consisted of five canals: Naviglio Grande, Naviglio Pavese, Naviglio Martesana, Naviglio di Paderno, Naviglio di Bereguardo. Our next stop was Venice. We took a train from Milan Central Station to Venezia Santa Lucia Railway Station from where we took a ferry to main island of Venice. With its historical canals, gondolas, and winding streets, Venice is considered one of the most romantic and visited cities in the world. We bought a sim card with 3G data from the station for about 20 € to stay connected with Sana in helping her acquire a duplicate passport. Some may say the gondolas of Venice are a tourist trap, but so are a lot of other fun things! A gondola ride can be very romantic if taken around dusk, and if the price seems too high, split with ride others. A maximum of 6 people are allowed on the gondola. A typical ride costs 80 € during the day. We split our ride with another Indian couple. This ride of ours lasted 15 mins and we were left asking for more! Piazza San Marco, is the principal public square of Venice, Italy, where it is generally known just as la Piazza. It’s crowded, full of pigeons, and occasionally flooded but, despite the crowds, it’s a majestic place. Close to Venice, nearby Murano island is the tourist trap home of the famous glass blowers of the famous Murano glass. Although the island is filled with expensive souvenirs, it can still be an educational and fun afternoon learning and watching how the glass is blown. Food: We spent an average of 80 € a day on meal which mostly comprised of pizzas and spaghetti. A cup of cappuccino costed us about 1.5 € which we used to have when extremely exhausted from our walks. Every other cafe in Venus has free WiFi, so don’t forget to ask your waiter for the password to access it. Our next stop was Florence. We took a train from Venezia Santa Lucia Railway Station to Santa Maria Novella Railway Station. The journey lasted about 2 hours. Florence is one of the most beautiful cities in the world. If you love art, the amount of galleries here will keep you busy for weeks on end, although the big draws are the David and the Uffizi. Food was quite economical in Florence and you could also find yourself enjoying a Halal Doner Kebab on every street. Florence was historically considered the capital of art and culture. It’s also a great jumping-off point for Tuscany wineries, food tours, and it also boosts a great night life. Since none of us drink, we skipped the entire tour of the wineries. We had one of the most beautiful AirBnb stays in Florence. I simply fell in love with the house and just didn’t want to leave it! All the major cities in Italy charge you with tourists taxes ranging from 1 € to 3 € a night. Florence also is big market place for leather goods. Make sure you do most of your shopping here. Next day, we rented out a car and drove to the city of Pisa which is about an hour away from Florence. You could also opt to take a train to Pisa which takes about the same time. We had to submit our Indian license and passport copy to get a car on rent which costed us 80 € a day. It did take us a while to get used to the left hand drive but we did manage to survive through the day! We also did break a few rules (all accidentally) and filling petrol at the gas station was an adventure in its own! Sana finally joined me in Florence, all thanks to our MEA Minister Sushma Swaraj. After missing the first 4 days, it took one picture of mine to go viral all over the internet which got the attention of Sushma Swaraj who in turn helped Sana in getting her passport and visa within flat 2 days! I am indebted to her and the MEA team in doing the unbelievable. Also it was difficult without her since she was the one who had planned the itinerary. Rome: Considered the center of the world for centuries, the birthplace of Caesar, and home to the Catholic Church, Rome is a city built on history. A visit to Rome is a gateway to an understanding of Europe. Anyone who wanders off the tourist trail here will be rewarded with a city filled with life amid a vast amount of historical ruins. Vatican city is easy to see, but you could spend at least a half a day there. You couldn’t leave Rome without seeing the home of the Pope and the Vatican, St. Peter’s Basilica, and the Sistine Chapel, and all of the wonderful museums. Our AirBnb stay was again within walking distance of the Colosseum. See if you can rent a bicycle to roam around the city. The Colosseum, one of the most famous sights in all of Italy is not to be missed. It is nearly 2000 years old, and it is the largest amphitheater in the entire Roman Empire. We paid 25 € per head to the Colosseum guided tour which included a tour to the Palatine Hills as well. The Palatine Hill is the centermost of the Seven Hills of Rome and is one of the most ancient parts of the city. It stands 40 metres above the Roman Forum, looking down upon it on one side, and upon the Circus Maximus on the other. The Pantheon looks today much like it did nearly 2,000 years ago, making it a marvel all in itself. Marble floors, a plethora of history, and by far one of the best-preserved buildings in the world. Probably the most famous fountain the world, the Trevi Fountain is always crowded. It’s especially crowded at night when couples come for their romantic picture. The best time to see this beautiful fountain is before lunch, when the crowds are thin. Don’t forget to throw two coins in while you are there over your left shoulder. The Spanish Steps are a long and grand staircase in Rome to the Piazza di Spagna at the base. The stairway was built in the 1720s. The Spanish steps are very popular for people to hang out at and people watch. This place is also a popular place for pub crawls too and did shake a booty or two the same night. Couple entry was about 10 € with cover charges. We spent 3 days in Rome and yet we were left wanting for more! Rome literally gets into you. Don’t miss out on the clubbing scene in Rome. Don’t take a taxi. Simply walk! Sant’Agnello is a municipality in the Metropolitan City of Naples in the Italian region Campania, located about 25 km southeast of Naples. Located near Naples, Italy, Pompeii takes a full day to see. We took a train from Sant’Agnello which took us about 30mins to reach Pompeii. We took a guided tour of the place with our beautiful guide Francesca. We paid about 30 € per head for the guided tour which was totally worth it. The city of Pompeii was destroyed by Mount Vesuvius in 79 AD. The falling ash came so quickly it preserved the city just as it was. It’s a place frozen in time. There is a guided trip to Mount Vesuvius as well. Sorrento is a small city in the southern part of Italy. It features wonderful hills, deep valleys, and beautiful mountains. Sorrento makes a good starting point for numerous excursions to nearby cities and island around the the famous Amalfi coast, Positano and Capri Island. Located a quick ferry ride off the coast, the island of Capri is a popular day trip from Sorrento. On Capri, you’ll be able to find beautiful beaches, great seafood, small villages, and some hiking. Make sure you go to the famous blue grotto, a small cave where the light turns the water a neon blue. After spending the first half of our day at Capri, we headed for a drive along the coast to visit Amalfi Coast and Positano. We took a cab which costed us 200 € for a drive of 5 hours. The southern cousin to the Cinque Terre, the Amalfi coast is much less visited but equally as beautiful. You’ll find great hillside towns, beautiful beaches, and azure blue water in which to cool off. Positano is a cliffside village on southern Italy’s Amalfi Coast. It’s a well-known holiday destination with a pebble beachfront and steep, narrow streets lined with boutiques and cafes. Next we were headed to Palermo, also our stop in Italy before we fly back to Rome and out of the beautiful country to wrap up our trip. Palermo is the capital of the Italian island of Sicily. The 12th-century Palermo Cathedral houses royal tombs, while the huge neoclassical Teatro Massimo is known for opera performances. Also in the center are the Palazzo dei Normanni, a royal palace started in the 9th century, and the Cappella Palatina, with Byzantine mosaics. Busy markets include the central Ballarò street market and the Vucciria, near the port. We flew from the Naples Airport to Sicily and then drove down to Palermo. Mondello is a small seaside resort with a wonderful beach just a short bus ride from the centre of the Sicilian capital Palermo. We stayed in Palermo for 2 days and shopped till we dropped dead. Our last selfie in Italy before we headed out of the country. It was a beautiful journey where we became mini-celebs, thanks to the entire ‘missing passport’ fiasco and Social Media coming to our rescue. A special thanks to Huawei for lending me the P9 to capture the essence of Italy. Also a very big thank you to Satvika Suri from AndamenLife for sending over their perfect blend of smart casuals for the trip. Gracias Italy for being beautiful! Hoping to see you soon for the first leg again which Sana missed out on. You can purchase the Huawei P9 on Flipkart for Rs. 39,999/- only. Until now, Huawei has always been a bit of a budget brand. The P9 is trying to change that – it’s the first phone from Huawei that feels genuinely premium and built without cost-cutting in mind. The addition of a dual lens rear-facing camera made in collaboration with German optics firm Leica sets the P9 apart. The phone offers great design, decent performance and battery life and an extremely capable camera.